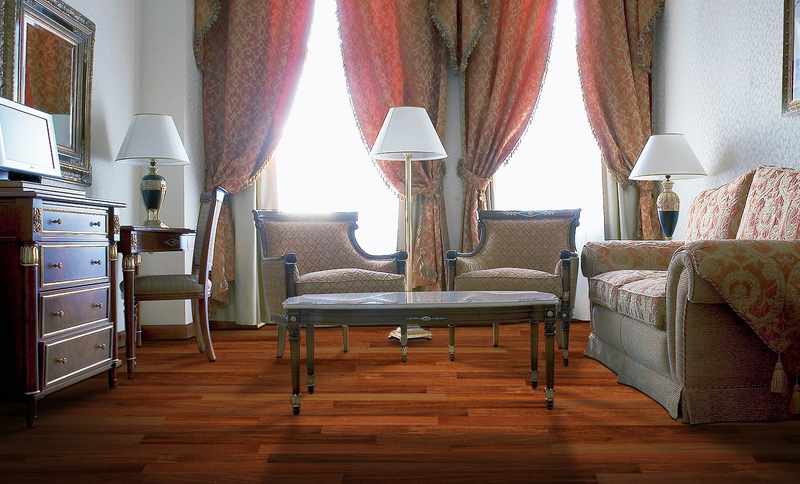 All different kinds of applications for Engineered Hardwood Flooring. Ferma Flooring’s Northern Oak Butterscotch provides a stunning look. Is Engineered hardwood flooring durable? Engineered hardwood flooring is durable to some extent. It has a long lifespan. However, just like traditional hardwood, engineered flooring will mar, dent, scratch, and even chip if the force is strong enough. Is Engineered hardwood flooring waterproof? It is not waterproof, but it’s more water-resistant than solid hardwood. Can I put Engineered hardwood flooring in kitchen, bedroom, basement, bathroom, living room? Kitchen: Not a good idea. Engineered hardwood flooring is more water-resistant than solid hardwood. However, it’s still prone to denting from dropped items. Bedroom: A great choice, hardwood floors add beauty and value to a home, and they can complement any style of bedroom. Basement: A good idea. Engineered flooring can be installed in finished basements. These floors have a multi-ply construction, which gives them greater stability and reduces concerns about shrinking and expanding with temperature and humidity changes. Bathroom: Engineered hardwood flooring is better choice for bathroom than solid, as plywood or solid wood bottom layers hold up against moisture relatively well and are very dimensionally stable. An engineered hardwood floor could hold up well in spacious, well-ventilated bathrooms that doesn’t receive much traffic. This is not the case in large family households with kids, where no matter how responsible you try to be, there is always going to be more water left on the floor than you think. Living room: Yes, it’s a good choice. Engineered hardwood flooring can be sanded and refinished multiple times, which means it retains its value for the long haul. Is engineered hardwood a good choice for rent property? Yes, although engineered hardwood is a pricey option, it does offer a more high-end look and feel. Depending on the price point your rentals and what comparable units are doing, you may want to consider engineered hardwood flooring.